William Wallace (1270 – 1305) was a Scottish knight who rose to prominence leading the Scottish revolt against the rule of English under King Edward I. William Wallace was one of the main leaders of the Scottish Independence Wars of the Thirteenth Century; after his death, he attained iconic status as a rebel leader. 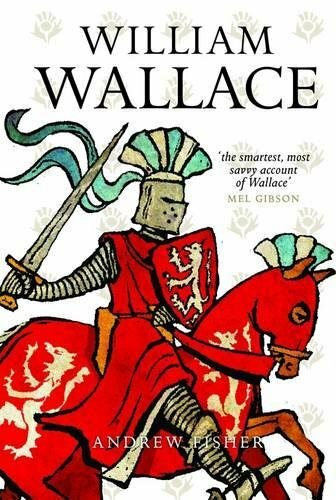 Wallace was born in Elderslie, in the county of Renfrewshire, Scotland in 1272. Little is known about his early life, though he seems to have been educated in Greek and Latin. At the time of Wallace, Scotland had recently been conquered and there was resentment at the policies of the English, which involved higher taxes and conscription for military service in France. There was also division amongst the Scottish nobility about who should be the rightful King of Scotland. Edward I offered to intervene to prevent internal dispute amongst the Scots – but only on the condition, they submitted to Edward I as the rightful King of Britain. Some nobles did agree to Edward’s demand, but some including John de Balliol refused. In 1297, Wallace murdered the English Sheriff of Lanark, which was a spark to set off a resistance movement. 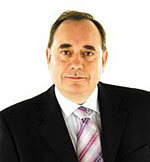 Soon he attracted a growing band of supporters around his independence movement. of all things freedom’s most fine. On 11th September, Wallace and Murray achieved a remarkable victory at Stirling Bridge. Though outnumbered, the Scottish armies defeated the English. 5,000 English were killed including Hugh Cressingham, the hated Treasury of Edward I. It is said the Bridge at Stirling collapsed as the English forces were coming through the narrow gap. Buoyed by his success, William Wallace led raids into Northern England to torment Edward. The price on Wallace’s head grew and the English later invaded Scotland to find and defeat Wallace. A year after the Battle of Stirling Bridge, Wallace lost the Battle of Falkirk, when English archers helped to defeat the Scottish defenders. However, Wallace escaped and for the next seven years, he lived as an outlaw, always on the run from Edward I. Though only a knight, Wallace was made Commander of the Army of the Kingdom of Scotland – as lieutenant of John Balliol. It was unusual at the time, for a knight to have so much influence and power. 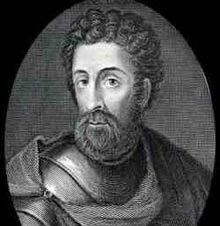 William Wallace became known throughout Europe, and he even travelled to France to seek an alliance with the French against Edward I. At the time, treason implied a long drawn out execution of being hung, drawn and quartered. Wallace’s limbs were displayed in different parts of England. But, his legend only grew after his death, becoming a symbol of a rebel leader. His cause was later taken up by Scottish King Robert the Bruce.